The 1970s were almost as wild and free as the 1960s, maybe more so if you add in the addition of Disco and all its trappings. It seemed to be more a way of life than just a type of music i.e. ; the hairstyles, clothing and make-up-in a way the Disco of the 1970s may have been the beginning of the over the top attitude that society began to latch onto and to build on, all the way through the “me” decade of the 1990s. 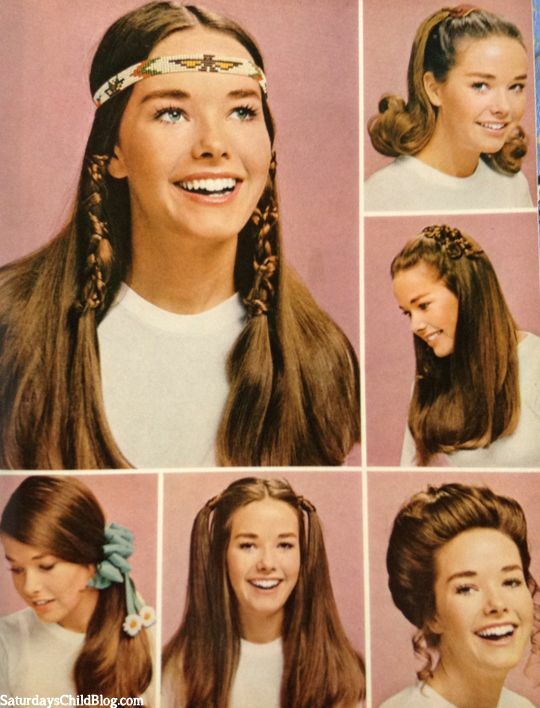 The decade that brought us Saturday Night Fever and Discotheques also brought us “the Farrah”, which was one of the most popular hairstyles ever! 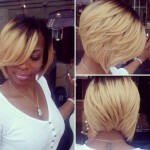 The shag or Farrah, the stacked cut, the undercut, and the very popular feathered look are all back! We have compiled some of the most popular 70s inspired retro “dos”. So take a stroll with us, back to when the lights were bright, and the heels were high-the 1970s Baby! It just doesn’t get much more 70s casual than Rachel Zoe looks in the above photo, even dressed casually, with a floppy hat and big sun glasses-there is still something very chic in her style! Long, layered full-bodied style was the thing to have in the 1970s and this type of cut and style gave it in spades! Heidi Klum is featured here in a 70s “mod” dress with her layered hair in shoulder length, loose curls-the look is very natural and carefree as was the trend of the time. More than one of us sat in front of our mirrors in the 70s, trying to “train” our hair to do just what Francesca Hull’s is doing in the above photo-“feather”! Little did we know at the time, training is not necessary, simply a good layered cut and the knowledge to use product, a blow dryer and a curling iron like a champ. This “flipped and feathered” look was all the rage in the 1970s, and it is back for 2012-13- no training required! This more up to date version of the “Farrah Shag” is not really so far removed from the 70s version, which was introduced to us by Farrah Fawcett on Charlie’s Angels. 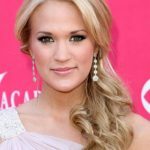 The layers, which vary greatly in length-frame the face drawing attention to pretty eyes and high cheekbones just as they did in the now famous version of the haircut. This is just a small collection of examples of 70s inspired styles, there are many more to choose from and even more than that from other decades such as the 20s, 30s, and 40s to name a few. With so much to choose from for 2014 – 2015, you could almost wear your hair differently every day and never repeat yourself exactly! Always remember to consider your facial shape, personality and lifestyle when looking for a new hairstyle and above all, have some fun creating a new you!